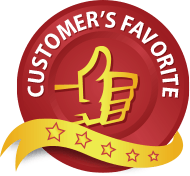 This is a product review of UTIMD, a natural dietary supplement that relieves the symptoms associated with Urinary Tract Infections (UTIs); such as burning during urination, frequent urination, pain, and nausea. This product is also effective in the prevention of UTIs by promoting urinary tract and bladder health. The manufacturer is confident in this product’s efficacy as well as its quality, offering more positive attributes than competing brands. Click here for more information on the manufacturer, Premium Certified. 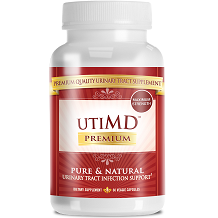 The UTIMD formula contains many all-natural antibacterial ingredients that promote uterine and bladder health. Cranberries are nutrient-rich and protect the bladder from bacteria; often supporting current UTI’s and serving as a preventative measure for future infection. Lingonberries offer a range of health benefits including antioxidant and antimicrobial properties, which also fight the cause of UTIs by preventing E.coli bacteria from attaching to the lining of the urinary tract and bladder. This product formula has no additives, fillers, binders, or preservatives – making it 100% pure and natural. UTIMD is also a vegan-friendly and cruelty-free product that has been regulated by third-party testing, registered with the FDA, and cGMP certified. The dosage directions are clear and easy to understand. The manufacturer recommends taking two (2) capsules daily with meals, with optimal results when taking one (1) in the morning and one (1) in the evening. This product is all-natural and cGMP certified, so customers can have peace of mind that the ingredients are pure and of a superior quality. There has been no mention of negative side effects when using this product. This all-natural product is available for purchase on the manufacturer’s website, where one bottle of 60 capsules (equivalent to 1 month’s supply) can be bought for $48,00. There are many package options available, such as the 6 bottle special for $138,00 – which saves you $270,00 for a 6 month supply of UTI support supplements. These packages offer incredible value that allow customers to easily afford the sustained use of this supplement. As an additional precaution and peace of mind, the online payment system has a Norton shopping guarantee which protects online shoppers against ID theft, provides a purchase guarantee, as well as offers the lowest price guarantee so you know you always get the best savings possible. The manufacturer showcases great confidence in this product, offering an extensive 90-day money-back guarantee for products even if the container is open! This gives even the most cautious of customers the opportunity to test this highly-acclaimed product for themselves. UTIMD by Premium Certified is a high-quality all-natural supplement. Ingredients such as Cranberry and Lingonberry have been clinically proven to relieve the symptoms associated with UTIs as well as offer sufficient protection and infection prevention. These ingredients are cGMP certified, vegan, and 100% pure – giving customers peace of mind that they are of the highest quality standards. There are a series of value-driven packages that offer impressive savings as well as make the sustained use of this product very affordable. The manufacturer’s confidence is showcased in a 90-day money-back guarantee that gives even the most cautious of consumers the opportunity to try this product for themselves. As this all-natural product is highly regulated, tested, and guaranteed; we happily recommend this product as a UTI supplement of choice.